Start with trampolines a joint-gentle and healthy training. The size of the jumping surface of a trampoline affects the exercising possibilities and safety during the training. 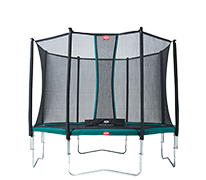 A big jumping surface allows safety and maximum freedom while bouncing. The suspension of a trampolin determines for which type of training the trampoline is suitable. Steel springs are best for intensive training sessions and bouncing on the trampoline. Elastic ropes are very gentle and are best for swinging or rehabilitative training. 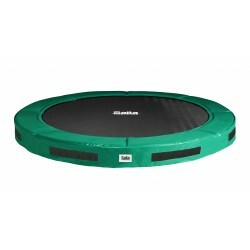 Choose weather you look for a big trampoline for garden use or a rebounder for indoor training. 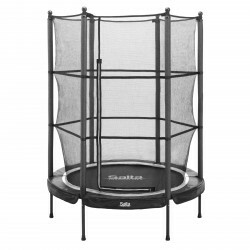 The Salta Premium Black Edition trampoline is one of the most high-quality seris of Salta. 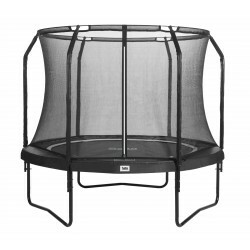 Besides a unique design, the first class trampoline offers further high-end components. Due to galvanisation and the additional powder coating of the strong steel frame, the Premium Black Edition is very corrosion-resistant and durable. Salta offers the First Class series - the highest quality level of your garden trampolines. For the xtremely safe and comfortable trampolines, the best and strongest materials are exclusively used. A 2 mm strong frame, a well padded protective edge, and an excellent jumping mat offer a unique jumping feeling for young and old. 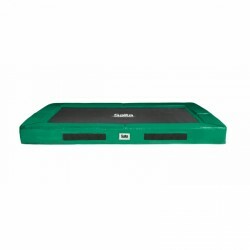 In addition, the trampolines are available in the colours green and black. First-class garden trampoline including safety net and ladder! 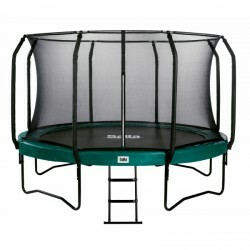 Salta presents a high-quality and safe garden trampoline with excellent jumping features. The Salta trampolines of the "Excellent Ground" series are designed for being embedded in the garden ground.They offer a very esthetic look. They are made of high-quality single components, which are especially developed for the Salta Excellent Ground trampolines. 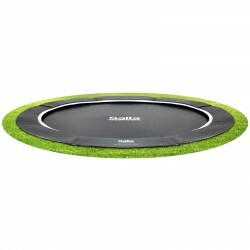 The Salta Excellent Ground garden trampolines are designed for being integrated in the garden ground at home and offer an extremely esthetic and balanced appearance. In addition, you can choose between the green and black colour of the rectangural Excellent Ground version.